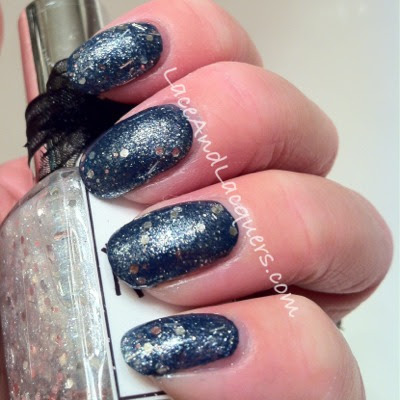 Pin It Today I have 2 Whmisical Ideas by Pam polishes to swatch and review for you, YAY! 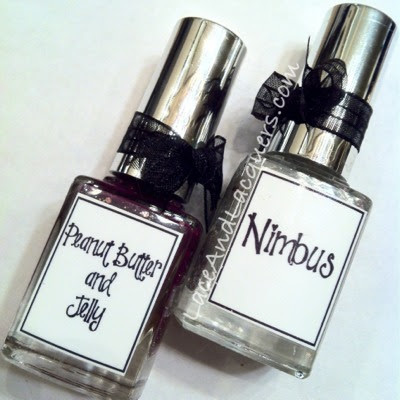 Whimsical Ideas by Pam Peanut Butter and Jelly & Nimbus If you haven't checked out this Indie line, you need to! Since Nerd Lacquer has gone MIA, Whimsical Ideas by Pam has moved up to #1 on my Indie brand favorites list. Take a jump to see the rest of the post and find out why!! Here's a better bottle shot where you actually see the polishy goodness! Yummmm, yes please! 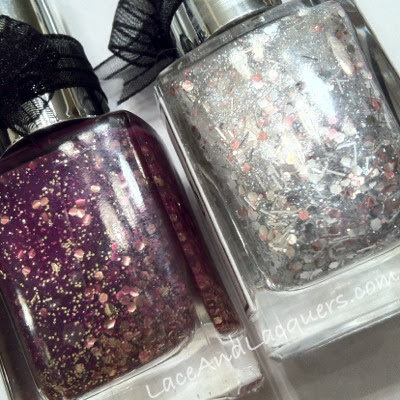 As you guys read above, when Nerd Lacquer was still operating, that was my #1 Indie brand, I loved the colors, the formula ect. Whimsical Ideas has moved up to that #1 spot on my list. I find that her polishes are the most unique Indies (debatable, I know), the formula is outstanding, and the glitter coverage in 1 coat is even more outstanding! WHY on earth I put this off and didn't buy this the 1st time I ordered - the world may never know! If you have had second thoughts on ordering PB&J - order. it. now. You won't regret ordering it! Just NOT ordering it, like me haha. PB&J is a super grape jelly (duh) colored base with medium gold hex glitter, small gold square glitter and smaller gold micro glitter. I LOVE instant jelly sandwich (haha...sandwich, peanut butter and jelly haha) polishes! This was 2 coats, flawless and effortlessly 2 coats. This is why I LOVE Whimsical Ideas by Pam, I never have to dip and dab glitter. It brushes on the nail perfectly every time! This polish also has a great drying time :] Now I wanna make a PB&J sandwich - with grape jelly, duh! I threw Nimbus in there because it wasn't something I was dying for but I didn't want to just order one Whimsical Ideas polish. Welp, I'm glad I did because it's pretty as ....well you know! ;] Above is 1 coat over Sally Hansen Thinking of Blue. This is a Harry Potter reference in this polish, isn't it? Bahah - I haven't read HP since... high school so I'm pitching in the dark here! Ok I'm rambling again hahahahahahah! But seriously guys, these polishes are both beautiful and unique. 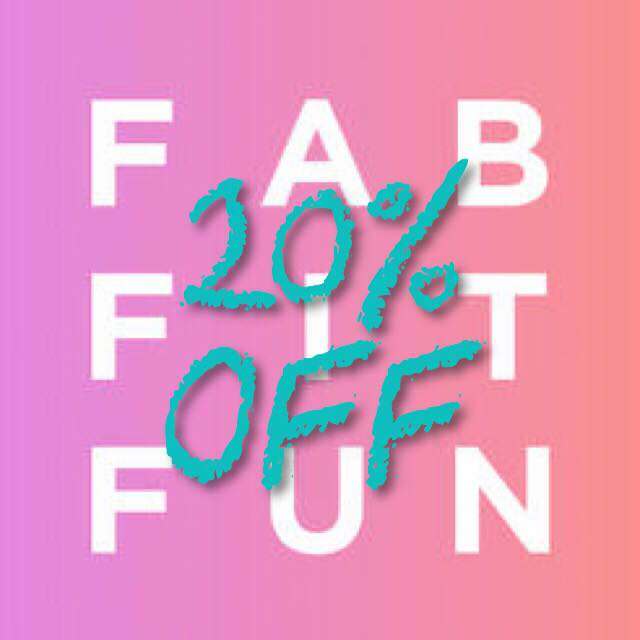 If you're interested in purchasing polishes from Whimsical Ideas by Pam please visit her Facebook for more information! Each bottle is $10, and she ships super fast! Great post! I love PB&J, it just looks so pretty. I haven't tried Nimbus though. I wish I liked bar glitter as much as you do! For some reason it never seems to stay put where I want it to on my short nails. Love this. I am going to order but have not decided what yet. Thanks! Oh so many choices :] They're all so pretty!! Oh so many pretty choices! PB&J is my favorite by far-as you well know! But I also love Kismet's Pajamas and I really want Saturday Morning Cartoons! 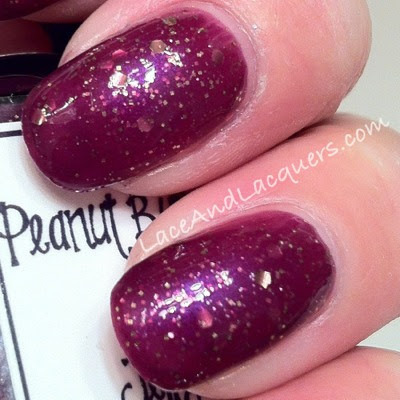 PB&J was the first polish i ever bought from Pam (along with Kismets Pajamas) - it is almost the perfect polish isnt it? It really is! I hope she makes more like it in different color combos! I wish I could ship them to ya! Pam has created so many lemmings! 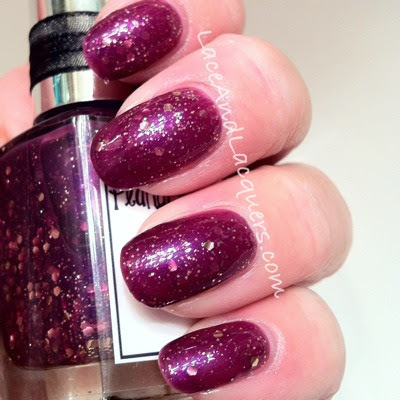 It's amazing how opaque PB&J is with just two coats--it's definitely one of my must-haves! She's got some beautiful babies! PB&J is just BRILLIANT!